Ah, Labor Day - A day we labor not at all. We consider Labor Day to be a blessing from the "schedule gurus" to help us ease back into the swing of a new routine as Summer ends and Fall begins. The rest of this September is all yours to soak up the last of the sun. 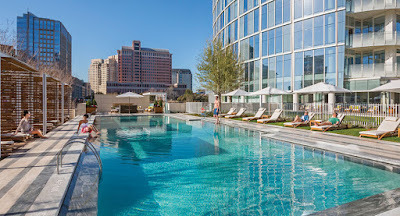 Lounge at Museum Tower pool for your last hot hurrah. Exclusively this Labor Day Weekend, a pool butler will be at your service Saturday, Sunday and Monday from 11 a.m. to 6 p.m. for seamless leisure. 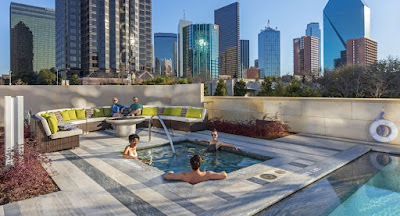 Residents can relax lavishly at the sixth floor Terrace Pool in cabanas. The pool butler will be on-site to assist homeowners with beverages and take food orders that can be delivered straight to the pool. There will be iced tea, lemonade, and cooling grapefruit-infused cloths.